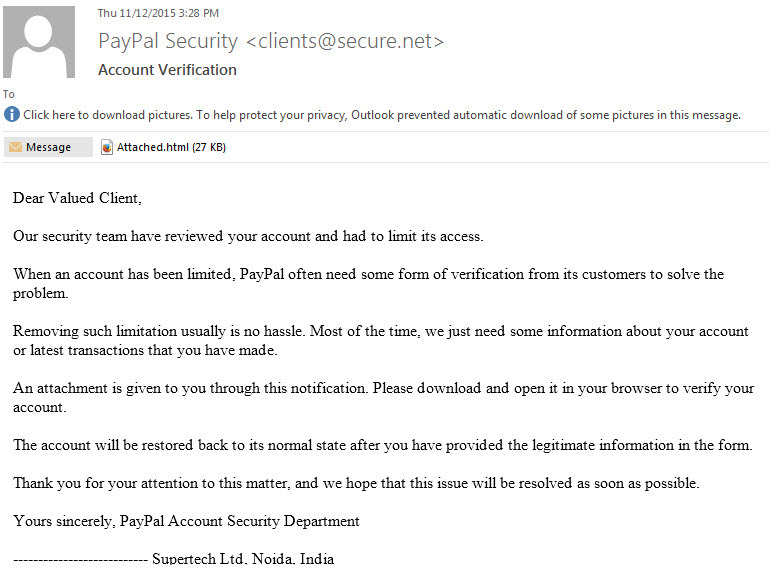 This fake PayPal security notification is classic. It has an attached html item that you are expect to click on. Normally we run these through a stand along computer and see what was really in the attachment. This time we deleted the email before doing so. This is a pretty poor example…meaning, there is plenty here to give it away as a fake.